Our final day of the trip was pretty relaxing. After breakfast, we broke camp and moved our bags to the beach. We washed the thick Colorado mud out of the canoes and kayak, and settled in to await the arrival of our jetboat. The jetboat was our way back to Moab. 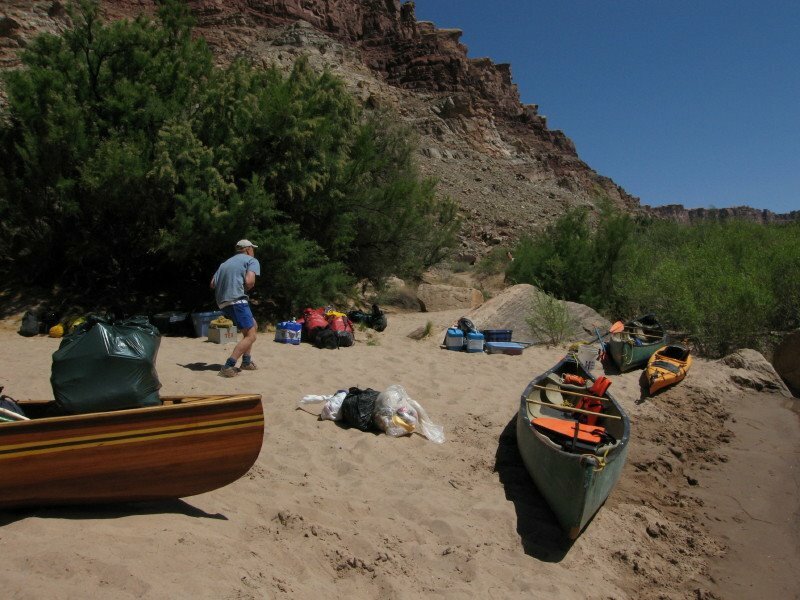 They loaded canoes, gear, and people from our group and several other groups. 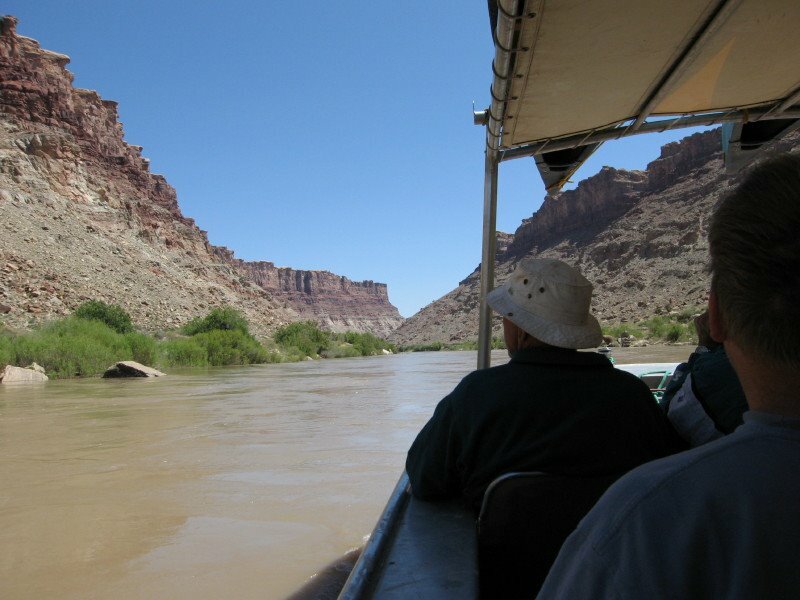 Then we motored up the Colorado river. 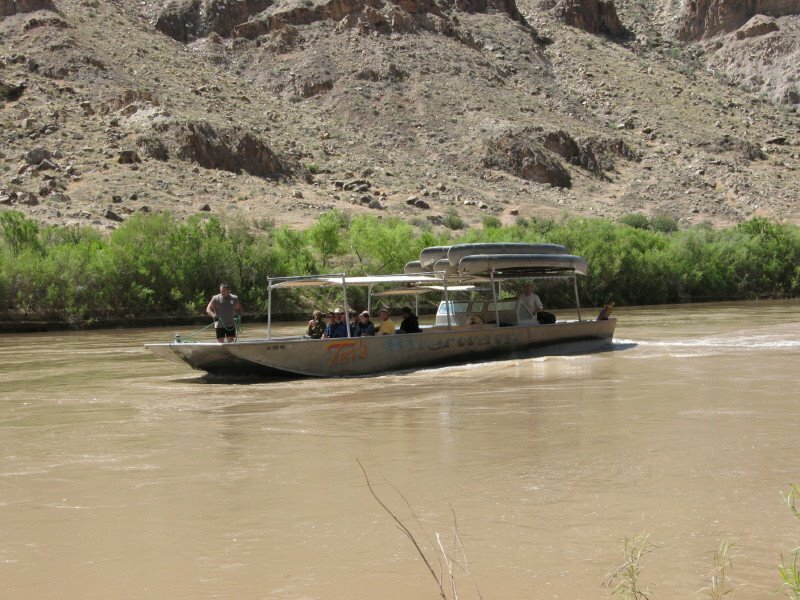 The boat moved fast enough that in the hot desert sun I put on long pants, a fleece, and a windbreaker. I felt disconnected from the landscape as the shoreline zoomed by. When we arrived at the Potash dock, there was a school bus waiting for us. The jetboat drove itself up onto a trailer, where it was pulled by the cab of a 18-wheeler back into town. We collected our gear, said our goodbyes, and began the long drive back to Fort Collins. It only took 6 months, but this concludes my series of blog postings about my Stillwater Canyon trip from last May.